For those who enjoy a delicious wine, this is the choice. 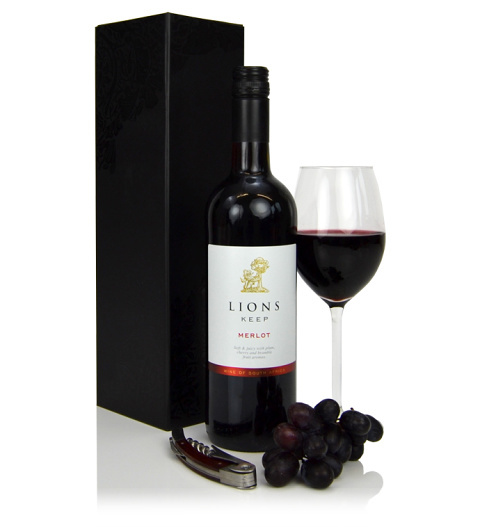 Presented with a waiters friend bottle opener in a black case with a prestigious bottle of Lions Keep Merlot. A full bodied delicious Merlot wine. This is an ideal gift this Christmas and is available for UK next day delivery.